On the 15th of each month I participate in a gardening blog hop called Garden Bloggers Bloom Day where garden bloggers all over the world share what is currently blooming in their garden. So what’s blooming in Piglet’s plot? The temperatures here in the Western Algarve have not dipped below 3C at night and have hovered well over 12C during the day. In fact last night it was 18C. We’ve had lots of rain as well as sunshine so the perfect combination for hungry mosquitos as well as a variety of plants. What beautiful flowers and nice temperatures!!! ouch mosquitos! Yuck! Here is about 9° and raining. I enjoy dropping by and gazing at pictures of your garden. Your favorite nameless plant is gorgeous. And I share you love of gazanias. gazanias and hibiscus are my favourite flowers. they give blooms all the year round! Blooming and December do not occur together here. Unless you count the geraniums in my window–inside the house. or the mold in my refrigerator. Your garden is a delight! Here in upstate New York, we must wait until spring for outdoor blooms. I love seeing flowers from “the other side of the world” – it helps to keep me patient while I count the days until the crocuses start to break ground. Your blooms are lovely, not at all what one would find growing in my area outdoors Glad to find another NaNoWriMo participating in GBBD! 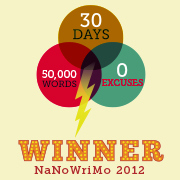 Loved NaNoWriMo it was great fun and it taught me to discipline myself on Time management. If you are doing it next year we should become buddies! I’ve not tried growing in towers…just a mxture of containers. What is reveillon? Your part of Portugal and my part of Down Under are bosom buddies as far as temps go in winter. Simply cannot believe that hibiscus tho’ – can’t get them to stay alive thru’ our occasional minus days: lucky duck you 🙂 ! And those strawberry blossoms: hope they bear fruit!! On the other hand: had my first four small tomatoes of the season today: oh my, had forgotten the depth of flavour after all those bought at the supermarket!!!! Love the blooms . . . especially the No Name Favorite and the Poinsettia. Thanks, PiP. We are lucky to ahve so many plants in bloom here during December. NEver noticed it before until I joined bloggers bloom day. Hi Sami, thanks for Christening the no name. We now have lots of these in our garden as they produce lots of babies 🙂 I grow lots of money plants and I live in hope…. Hi steph it was only when I started the bloggers bloom day blog hop that I realsied how many flowers there are n bloom this time of year! I have a hibiscus still flowering in my small garden, although there have been unusually cold temperatures at night. Your garden photos are lovely! Hi 24/7 gardening here is a pleasure. Where we are we rarely get frosts and tonight the temp is 18C again. Gorgeous .- and you have a poinsettia, how wonderful! Hi Chica…it is about 6yrs old now and can be rather temperamental. Once when it dropped all its leaves I cut all the branches off, stuck it in the corner of the garden and tole it that it had two chances…and it grew like mad…. You have some lovely blooms in your garden PiP! The one with no name (5th one down) is an agave; they are very striking, and grow really big. They grow ‘babies’ from the stems which can be broken off and cultivated to make more! I love the idea of a garden bloggers’ bloom day! Your poinsettia is lovely. We used to have them in our garden in North Queensland in Australia in the winter (July & August), but I have to buy them in pots in France, but I always get one at Christmas. Hi Aussie and welcome! Why don’t you join in?